Term insurance builds no cash value. When purchasing life insurance, it's important to understand the difference between term insurance and other types of policies. Term insurance, also known as term life insurance, is the original form of insurance protection. It builds no cash value and only provides coverage for a specified time period that can be anywhere from one year to 20 years. In comparison, permanent life insurance policies such as whole life, universal life, or variable life insurance are granted for the life of the insured person and the payout is guaranteed at the end of the policy. Although permanent life insurance policies are sometimes used as a type of financial investment, the function of term insurance is similar to that of auto insurance or health insurance. Claims will be fulfilled if the premiums have been paid and the contact has not expired, but the insured person does not receive a return of the premium payments if no claims are filed. Term insurance is purely a form of risk protection designed to help pay for mortgages, consumer debt, dependent care, and other miscellaneous expenses that may occur after the death of the insured person. As you're deciding what type of life insurance policy best meets your needs, it's helpful to remember that term insurance is generally the most affordable type of life insurance coverage available. Although term insurance and permanent life insurance policies both use the same mortality tables when calculating the insured person's cost of coverage, a permanent policy must take into account that a payout will eventually occur. In comparison, most term life insurance policies will eventually expire without needing to process a claim. 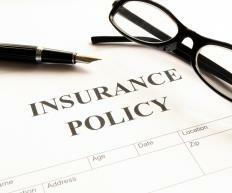 In fact, one study estimated that as little as 1% of all term insurance policies will require a payout. This is why term insurance is generally eight to 10 times less expensive than a comparable amount of coverage under a permanent life insurance policy. Unfortunately, the low cost of term life insurance does come with a few disadvantages. Term insurance can not easily be altered to accommodate new life events, such as marriage or the birth of a child. In addition, when the policy expires, advanced age or declining health may make it significantly more expensive to obtain the same amount of coverage under a new insurance policy. A careful evaluation of your insurance needs and financial priorities is necessary before choosing which type of policy will provide the best coverage for your circumstances. What are the Pros and Cons of No Deposit Insurance? How is Life Insurance an Investment? How do I Choose the Best Home Protection Insurance? Sunshine31- I have a cheap term life insurance premium on my spouse. We only pay $100 a month for a 20 year term policy valued at $1,000,000. Compare this to a whole life insurance policy that charges about $750 to $800 a month for the same policy for the twenty years with a cash value. In addition, whole life or universal life policies offer significant surrender charges. You are far better off investing the difference in a mutual fund then investing in an insurance company that will only have a minuscule rate of return. Insurance agents always want to sell universal life policies because their commissions are significant and on going as long as you own the policy. Term life insurance rates are significantly less than whole life or universal life insurance policies that offer a cash value. You can compare term life insurance online with a company called Select Quote. Select Quote will ask you some basic questions such as your gender, age, if you are a smoker and your height and weight. They will also ask you for the amount of coverage you were looking for. Then Select Quote will offer you an opportunity to compare term life insurance rates from various providers. Level term insurance is called that because you have to determine the term or the length of time you will need coverage. A 10 year term offers the same monthly term insurance quote until the end of the 10 years. Term life insurance can also be purchased for a 20 or 30 year term, but the term insurance rates are slightly higher.